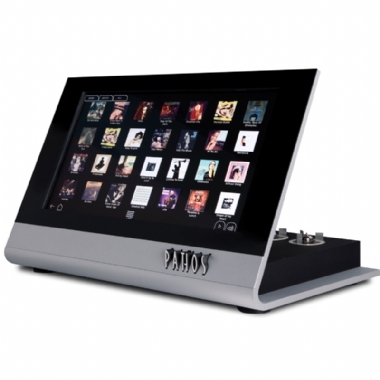 Pathos Musiteca Music Server - All your Music at your fingertips. Available with up to 3 years 0% Online Finance. 24bit/192KHz D/A. Class A Tube. Fully Balanced. 22" wide touch screen with built in hard drive & transport. Its hard disk is capable of storing up to 25,000 tracks, approximately 2,500 CDs, with uncompressed quality.Digital music can be captured and stored either by ripping CDs via the built-in transport, or by copying files from any digital storage device-computer hard drive, USB drive, digital music player. Metafiles such as cover arts and detailed information are automatically acquired from the web and associated to the respective tracks. Musiteca can be remotely operated via any smartphone or tablet by means of specific free apps.